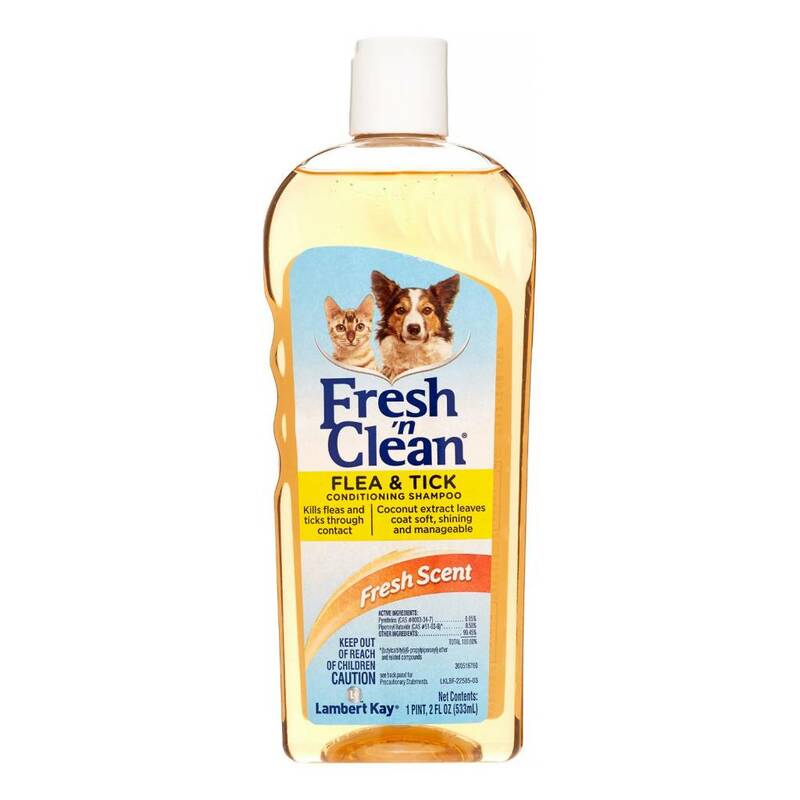 Fresh `n Clean® Flea and Tick Conditioning Shampoo is formulated with natural pyrethrins to quickly kill fleas and ticks without the harsh chemicals. It will not kill flea eggs. The products residual will weaken the fleas once the eggs hatch. It creates a pleasing fragrance that lasts up to two weeks. Safe for use on dogs, puppies, cats, and kittens over 12 weeks old.